This event is in its 36th year. It is sponsored by the Rotary Club of Hollister and all proceeds go to benefit local scholarships and charities. San Juan Bautista is a small California Mission town just off Hwy 101 approximately 50 miles south of San Jose. 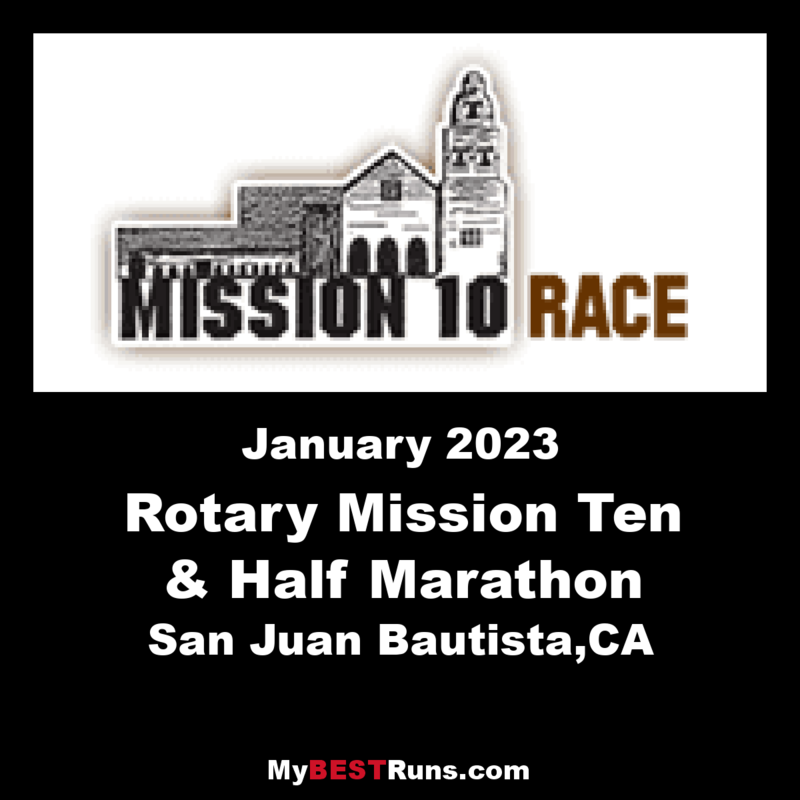 The four races: 1/2 marathon, 10 miles, 5k and 1 Mile kids fun run, all start and finish in front of the historic and beautiful San Juan Mission. The area is rural and the course takes runners through farm land and up the Anzar hills. Medals are awarded three deep in standard age categories. 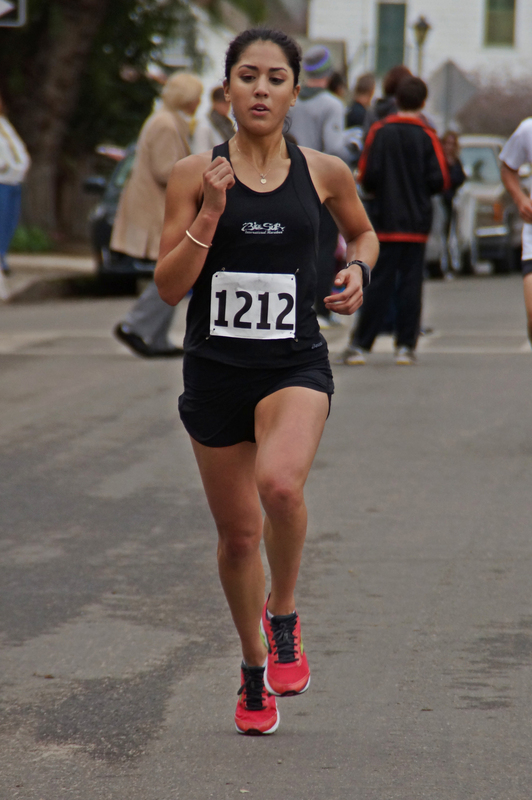 The 1/2 marathon and 10 mile races (both TAC Distance Certified) are particularly good training for upcoming spring marathons. Theme teams encouraged and trophies will be awarded to top teams.